Government agencies around the world are becoming more confident in using social media and, in many instances, are leading the way over their private-industry counterparts with their innovative content and community engagement. It’s obvious now that social media is an invaluable tool for government to promote their brand, connect with communities and customers, and engage in conversation. Understandably, too, social media presents a number of risks unique to government and this can hinder how creative they can be online. However, there are some government departments dominating this space that are dishing up clever content that is perfect mix of entertaining, informative, valuable and engaging. 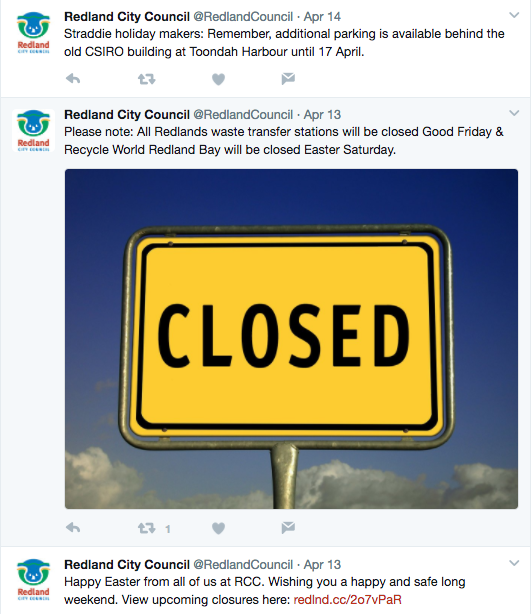 Here are five Australian government departments doing great work on social media. Just a quick note: this selection is not based on the number of followers these departments have, but rather how they promote content that solidifies their brand, purpose and connections online. 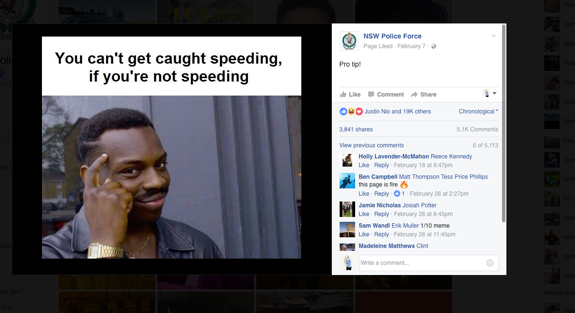 WHY: They cleverly inject humour into an otherwise non-humorous topic – law enforcement. Their posts are a well-balanced mix of topical news, crime updates, call-outs for citizen collaboration and entertaining posts that quintessentially reflect their role in society. Their standout work has even been picked up by the media with their ‘Meme Team’ being interviewed recently. 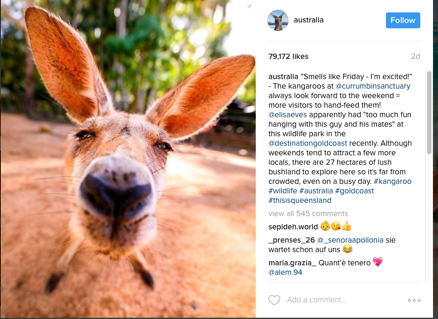 WHY: With more than 2.6 million followers on their Instagram, Tourism Australia uses breath-taking pics of Australia to fulfil its purpose – to promote (amazing) Australia. The ingenious part of their social media strategy is that the majority of their content is curated, which is not only great for their fan engagement but also economical. 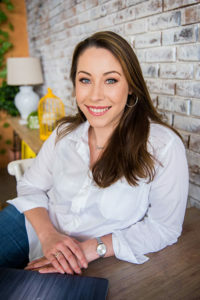 WHY: Promoting ‘health’ in a fun way is tough, however SA Health do a stellar job with their rich mix of content that includes informative memes, staff highlights, animated video and interviewing their local community on contemporary health topics. Note their exceptional work, especially if you’re in the health cluster. 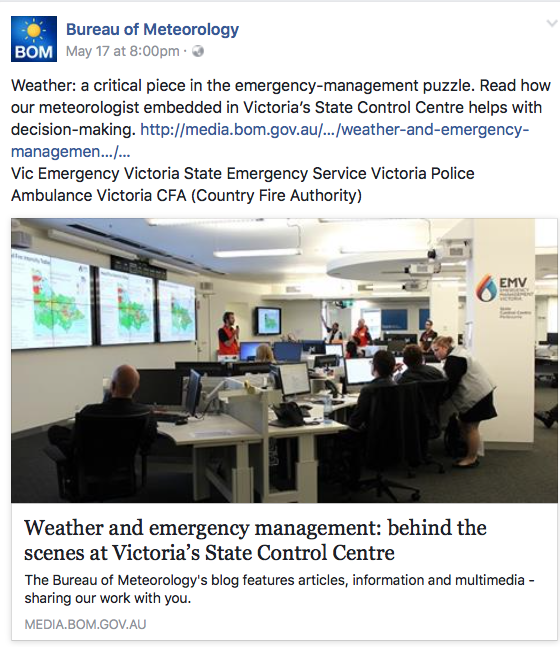 WHY: Weather will always be newsworthy currency – we’ll always need to know about it rain, hail or shine – and the Bureau of Meteorology (BOM) have gone beyond just sharing bare-essential information. They make weather fun with their diverse and dynamic social media content. They promote fans’ weather-related images, have behind-the-scenes videos of their control rooms, post media releases, promote partnerships, volunteer profiles and more. They also don’t ‘spray and pray’ the same message across their social accounts – on LinkedIn, for example, they publish staff profiles, latest research papers and conference announcements. Why: Without a doubt, their content reflects their purpose – to serve the residents of Redland. They encourage residents to promote their Redland pics using #redlandsanyday, have ample videos on their Facebook page featuring staff interviews, events and more, and keep their residents up-to-date with city matters like planned works, closed sport fields, traffic disruptions etc. Again, their content differs across their social accounts with Twitter seemingly being used as a ‘media centre’ with a flow of news tweets ranging from council meetings to road closures. What government agencies do you follow for inspiration? Let us know below. “Budget” – this is the holy grail in government. I know, because I’ve worked in government and still do as a social media trainer for government departments. There’s such a need – and urgency – for government to connect with their constituents and social media is their vehicle of choice. The thing is, though, with social media being as saturated as it is, it’s hard to cut though the noise. Especially for government which has to compete with lack of resources and rationed budgets. 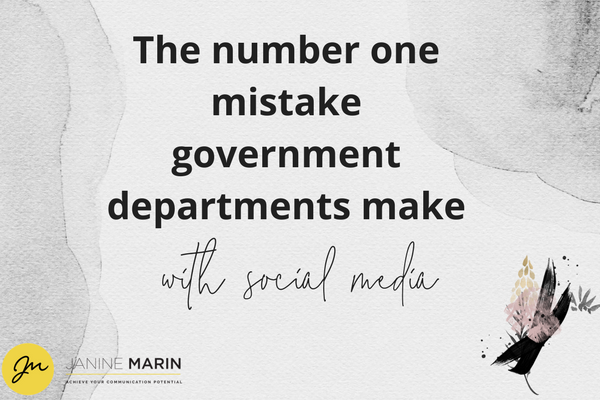 A lot of the time government departments outsource a portion of their budget to agencies to run social media campaigns, create strategies and do ‘fancy stuff we can’t do ourselves’. Herein lies the problem and opportunity: lack of resources and trained staff, little time and budget hinder government doing innovative things online. However, the social innovation that government organisations need isn’t bought – it’s cultivated through developing staff in social media. I like to think of investing in staff is a bit like investment in a property – invest now for the long-term gain. And there is a need to do this. A 2017 Leaders Report showed that “Nearly half of government respondents say they lack an understanding of digital and social media.” Adding to this, a Deloitte study found that only 34 percent of government organisations surveyed had sufficient skills to execute its digital strategy, and just 33 percent of government employees said they were provided the right resources or opportunities to obtain the digital skills they need. There is a skill shortage of social media in government, which is fair enough considering social media is a scary space to play in and some government employees had social media duties dumped on their lap loaded with expectations yet little support. The goal for government is community engagement, and a sustainable model to increase – and maintain – this is through staff. I see government spending on digital agencies to run a great campaign that garners attention, engagement and follower growth but once the show’s over and curtains are drawn the engagement that was built crumbles because there isn’t sufficient skills, support or resource to maintain it in-house. What needs to change is for government to focus on developing their staff in social media because the greater the investment in up-skilling staff, the greater community engagement Government Departments will have. One thing I often see when training staff, is the passion they have to make a difference to the community they serve. They love what they do and they see the impact they can achieve on social media. So, imagine what investing in staff who are passionate about their job can do for government organisations (and employee engagement). Staff will come to work excited, confident and full ideas, dramatically increasing their department’s capability to innovate and engage online. If governments want to halve spend, triple social media ROI and increase employee engagement they have to start on the inside and invest in the people that matter most to their organisation: their employees. 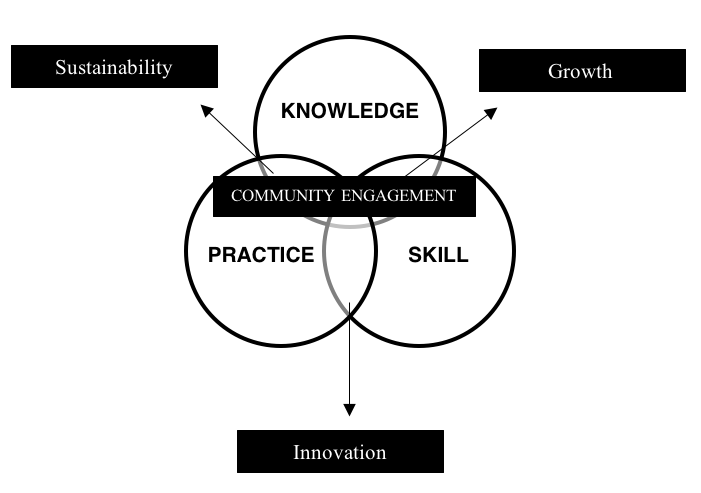 Doing this will not only increase community engagement but also strengthen the relationship between organisations and the communities they serve not just for tomorrow but for the long-term. Custom social media training for teams, councillors and individuals available – click here or email Janine for more information. 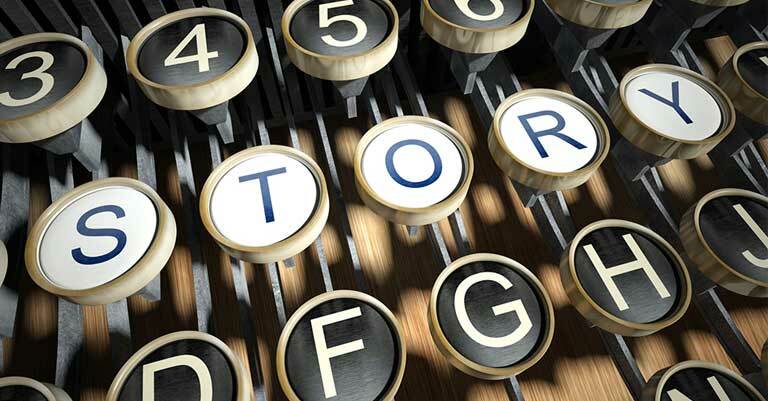 Marketing has evolved dramatically in the past few decades, but there is one thing that has always remained constant: the power of storytelling. As a communication tool, the humble story is unrivalled in its ability to connect with communities and boost engagement for government agencies. In the paradigm of marketing, storytelling can be described as weaving your idea or information within a narrative. There are no limits to how you can tell your story, and social media in particular makes it easier than ever. Sharing updates, publishing videos, creating photo stories, live-streaming, building groups – new possibilities are emerging every day, and the results are consistently impressive. Why is storytelling in government so successful? We’ve become hyper-efficient at shutting out marketing messages, but tell us a great story and you’ll have our undivided attention. There’s a scientific basis for this. Stories have been shown to light up the areas of the brain responsible for empathy, compassion and co-operation, controlled by the feel-good chemical oxytocin. The effect is especially strong when they story resonates with us on a personal level. In other words, the best stories are the ones we can see ourselves in. When the characters resemble us in some way, we get a sympathetic high from seeing them succeed or benefit or overcome the odds. We also form a personal connection to the source of the high. Messages delivered as stories can be up to 22x more memorable than just facts. How can storytelling help government agencies? As a government communications professional, you know the importance of engaging with your communities, service users or constituents. Engagement is usually based on a positive emotional relationship, so if your people don’t know the ‘human side’ of your Department or don’t trust you, they’re going to shut you out. Storytelling is the most powerful way to overcome this and create an emotional bond with your community. In many cases, it’s rare for the community to get a glimpse of the real people behind government agencies. Nobody wants to engage with a faceless machine of an organisation, and the result is a disconnected community that doesn’t understand what you do, how it affects them, or why they should care. Storytelling can completely transform how people view your department. Tales of good deeds, individual triumphs and real people going the extra mile for the community – the right story can help you to put relatable faces to your agency and inspire people to connect with your department on a personal level. And by telling people stories of others just like them, you’re illustrating the value you provide them and encouraging people to picture themselves as part of your community. Topics like government budgeting, transport planning and healthcare provision can be poorly understood. Perhaps the subject matter is too complex, or it’s not interesting enough to cut through this information-rich state. Perhaps they just don’t see how it affects them. Whatever the reason, agencies in certain fields might find it difficult to connect with their service users. Stories can help by simplifying complex topics, bringing serious subjects to life, and turning dry data into memorable messages. Their appeal spans all ages, cultures and abilities, which opens up communication to include traditionally hard-to-engage groups like young children, diverse communities and those with low literacy. 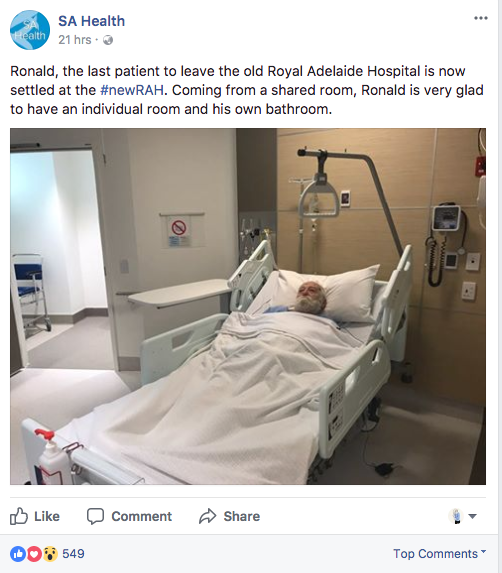 SA Health have done a stellar job storytelling their move from the old Royal Adelaide Hospital to the new hospital site. They social content includes personal stories about patients and staff, media coverage and their Facebook cover page video is a story about the new site. Stories follow a basic narrative structure with a beginning, middle and end. With your narratives, you need to establish an emotional connection, so make the character (or story subject) relevant to your audience, perhaps sharing the same characteristics, goals, dreams or fears of your community. In the middle, you introduce a conflict, challenge or problem. This should be something your audience can relate to, and the conflict can be related to your Department or a problem that your community is facing. In the end, your character should find a resolution, ideally helped by you. Your audience will be emotionally invested in the character’s success, and you want them to associate you with the positive outcome. Organisations often try to think big, but simple emotional appeals are the key to creating impactful stories. Some of the most popular viral videos have featured stories that made us feel intense joy, anger, excitement, fear, triumph, or a combination thereof. Find members of your community who have overcome adversity, or champion those who are doing inspirational things. Share contagious moments of pure happiness and rally together against the darker moments of life. Whatever your story, tell it with authenticity, passion and enthusiasm and your audience will be rapt. While it may be tempting to talk about your agency, the truth is that people want to hear about other people. It sounds counterintuitive not to talk about yourself – after all, how will people know about you if you don’t tell them? But it’s the human element that sticks with your audience long after they hear your story. If you get that right, awareness and engagement will follow naturally. There are so many ways to share your story. Infographics are great for distilling complex information into bite-sized facts and figures, while videos are wonderful tools for sharing human interest stories. Memes inject humour into a story, while live streams help people to feel like they’re part of the action. Sharing doesn’t have to be complicated, either. You can split several simple Facebook updates into chapters of a story to keep your audience coming back for more. You can even encourage users to generate the content themselves by submitting photos, quotes, testimonials or short stories. The only limit is your creativity! Everybody has a story to tell. Janine can help you tell it. If your agency has staff, you have a story. If your agency deals with people, you have a story. If your agency has ever helped somebody in any meaningful way, you have a story, and your community is waiting to hear it! Communications in government expert Janine Marin specialises in helping the public sector to boost community engagement via digital media storytelling. If you have a tale waiting to be told, contact Janine now to bring your story to life. 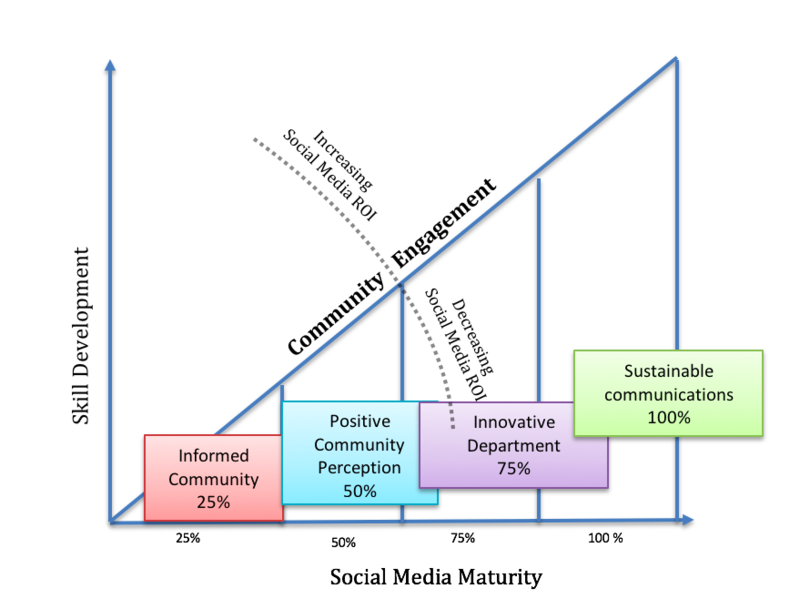 Does your department use social media to its full potential? Do you find they don’t invest in it as a substantial communication channel? Do you feel like your agency is avoiding social media? Well, if there isn’t a structured social media strategy with the appropriate policies and procedures in place, you can understand why they may want to pretend it doesn’t exist! Interaction and communication is the core of what social media is all about, so simple disagreeable, unpleasant, or downright inappropriate comments can quickly draw unwanted attention far and wide from the very audience you are working to engage more often with. Which is why your department – not needs – but should invest time and resource into a solid social media strategy, and most importantly, training your ‘social media’ frontline staff. 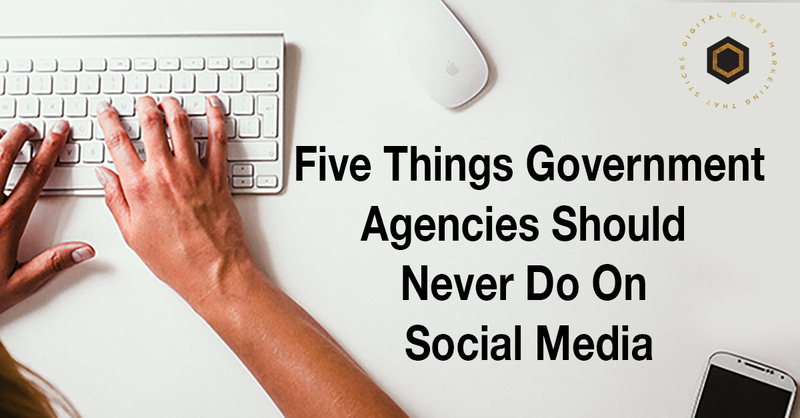 To minimise the risk of those unwanted – potentially viral – comments, posts, tweets, etc, we have established our ‘top 5 HELLL NO’ list for government agencies on social. If you are considering doing these on your social media – you need to stop and think: HELLLL no…you’ve been warned. Just because the adjacent county or council is going gangbusters on Snapchat, doesn’t mean your agency needs to follow suit. Often, social media accounts are created without a clear purpose. Don’t fall into this trap. Before launching a new social media profile, do your research and make sure you’re choosing the platform that’s fit for (your) purpose, suits your content and is used by your target audience. It’s always entertaining to generate a few laughs amongst your audience, but you are potentially entering dangerous territory if your joke backfires or your message is interpreted as arrogant or rude by your community. A simple miscommunication like this can cause a massive Social Media Storm (SMS) and may take a lot of work to restore your organisation’s image amongst your audience. Limit your account access to a select few team members. Only those that have thorough training and experience should have the ability to control your social media accounts. Remember these select individuals are on the front line between your organisation and your audience, and are required to make professional and educated decisions that reflect your organistation 24/7. Always have a back up plan. Everyone eventually needs to take a sick day, a holiday, or eventually moves on from the organisation. Having multiple administrators across all of your social media platforms will ensure that you will always have secure and seamless access to your accounts. Okay, so as a government agency there’s more red tape when it comes to engaging online. However, that doesn’t mean your agency can’t have an opinion, especially when it comes to correcting misinformed negative comments. Your image is not only reflected in the positive and encouraging messages that you share on social media, but also in how you address and resolve the negative ones. Taking ownership of a problem or correcting misinformed comments/information will show that your agency is proactive – and not reactive – on social media and this will resound with your audience. The only exception to this rule is when the comments are offensive or threatening, this is when you need to escalate the issue and resolve it offline. one of the biggest pitfalls for social media management is being so focussed on the ‘doing’…uploading content, community management, moderation etc. and not on the strategy. It’s easy to get bogged down in the daily tasks with managing your agency’s social media but doing so without a plan means your agency’s social media maturity becomes stagnant. Plan your content, plan your moderation in and outside business, plan your goals….plan, plan, plan! Without a plan work can easily become like groundhog day. Social media is revolutionising community engagement and there’s no reason for you to miss out. Do you find yourself wanting to do more with your agency’s social but don’t know where to start? Can’t find experts to train your staff in social media? Discover the benefits of working with Digital Honey. Find out how our training and workshops will save your agency money, time and resource. 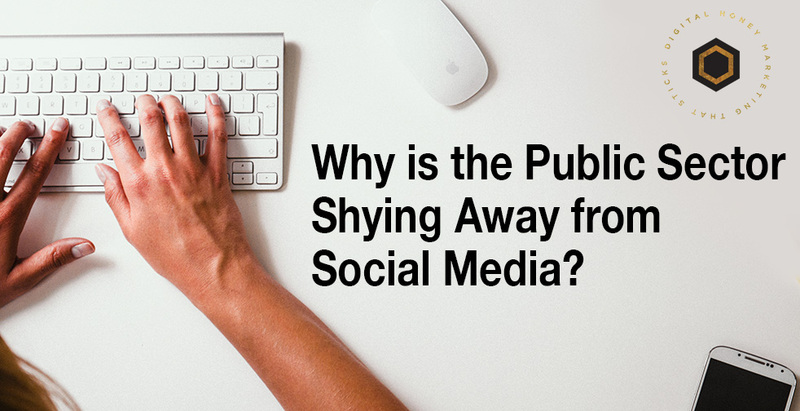 Why Is The Public Sector Shying Away From Social Media? Social media presents an incredible opportunity for local government and public sector agencies to connect with their communities. Organisations can reach out like never before and engage in conversations on everything from policy development and service provision, to social issues and emergency management. Yet despite the benefits, agencies are still wary of social media, favouring traditional channels instead. The Leaders’ Report – The Future of Government Communications found that print, radio and TV still accounts for as much as 97% of marketing spend. Why are we scared of social? Two reasons – resources and risk. According to The Leaders’ Report, 40% of participants feel they lack the necessary understanding of social media management and unfortunately, teams often don’t have the time, money or capacity to train them. 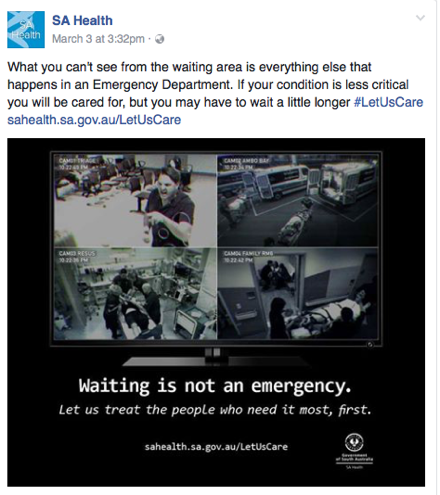 Social media also presents a number of risks unique to government and the public sector, and so government agencies often favour ‘safer’ traditional methods instead. What are the risks of using social media in the public sector? Opening up a platform to the community provides a valuable opportunity to discuss ideas, seek feedback, conduct research and build relationships. However, this can backfire if you don’t have the resources to manage conversations or respond to feedback, especially criticism and complaints. Open communication, while overwhelmingly positive, leaves your agency vulnerable to liability. You’re ultimately responsible for your social media content, and if you fail to moderate misleading, obscene, defamatory or illegal content posted by a third party, this could present a public relations situation at best and a legal issue at worst. Social media communications to or from government or public sector employees are deemed to be public records and legally must be preserved as such. However, manually copying large volumes of data is unfeasible, the platforms themselves can’t be relied upon for storage, and third parties can delete their content at will. Allowing sub-groups of an organisation to control their own social media presence is risky. While it humanises the agency and allows for greater connection, staff lacking proper training can dilute the voice and message of the ‘brand’ or worse, open you up to public relations issues. For this reason, central communications teams are often reluctant to hand over the reins. Social media is blurring the line between professional and personal life. For a government agency, this poses numerous security threats. It’s not difficult for those with malicious intentions to glean information from unsecured personal profiles, and both government and personal accounts could be vulnerable to hacking. All of these risks can be mitigated with a comprehensive social media policy, providing clear, consistent guidelines on everything from branding to security. Here are eight areas to consider when designing your own policy. 1. If you decide to participate in conversations, set out guidelines for how you’ll monitor discussions, who will respond, how quickly you’ll respond, and how you’ll address or refer issues. 2. Set out when it’s appropriate to respond. It’s not always necessary, but if an issue is unfolding based on incorrect information, for example, it’s absolutely appropriate to step in quickly and set the record straight. 4. You can opt to pre-approve posts, giving you the opportunity to filter out problematic content in advance. Alternatively, you can examine posts retrospectively and remove anything that violates guidelines. Whichever you decide, have a clearly defined process in place. 5. 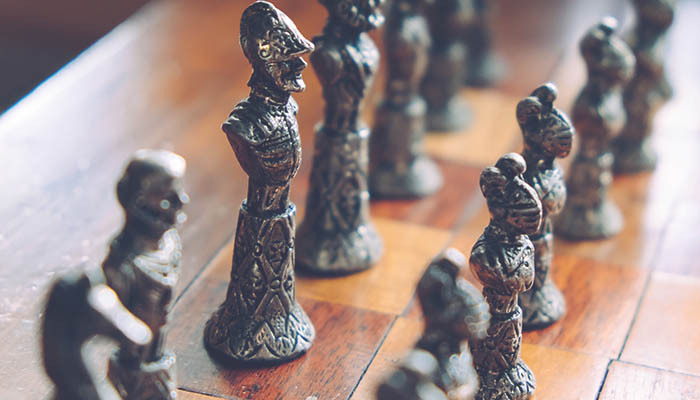 NSW’s Future Proof Strategy offers guidance on protecting and managing government records and is widely considered the gold standard in digital record keeping. You may also consider an external service that automatically captures and archives large volumes of social media content for you. 6. To maintain a consistent voice and message, establish clear brand guidelines to which your staff can refer and provide training if necessary. This can cover stylistic factors such as tone (professional vs casual), content factors such as company stances on particular issues, and procedural factors, such as your complaint management policy. 7. Define who has access to your social media accounts and in what capacity. You can add additional layers of security, such as requiring password encryption and restricting access to approved, protected and monitored devices. 8. Encourage total separation of work and personal accounts. Even apparently benign information can be used for malicious purposes, so advise your employees to refrain from sharing work-related information on personal pages altogether. Need help creating an effective, risk-free social media policy? Social media is revolutionising community engagement and there’s no reason for you to miss out. With a strong social media policy, you can reap the benefits for your community while minimising the risk to your organisation. If you need support in developing your policy, or if you and your team could benefit from social media training, Digital Honey can help. Visit our Training page now to find out more about our bespoke public sector and government social media training, or contact us to discuss your policy needs today. Do GIFs Boost Your Engagement On Social Media? 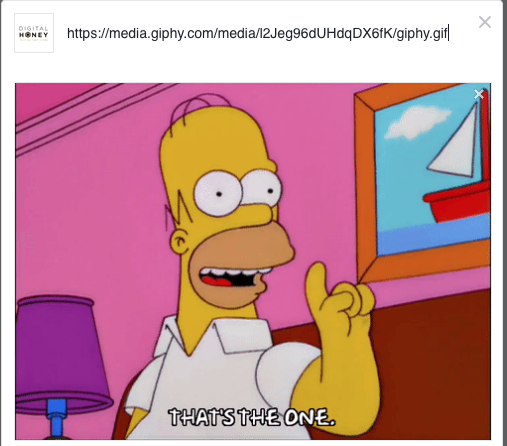 GIFs – they’re not only fun to use but also effortlessly engaging on social media, so if you haven’t started to use them, here’s why you should and how to start using them. 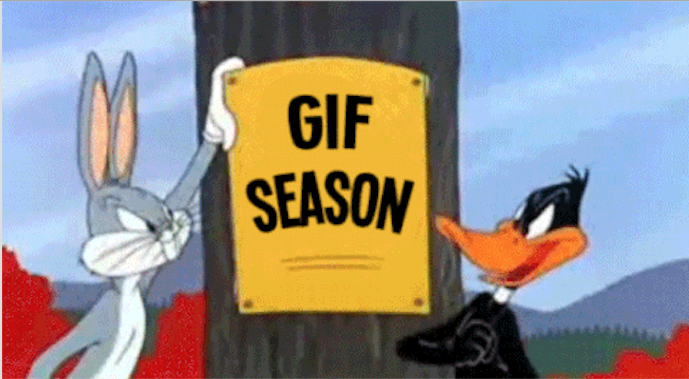 Before we get started, what’s a gif and how do you pronounce it. Is it with a hard or soft ‘g’ (i.e. ‘jif)’? Firstly, it’s a contentious topic…many have their opinions, however the inventor of gifs, Steve White, confirmed it should be pronounced ‘jiff’ even though it GIF stands for Graphics Interchange Format. Confusing, we know. 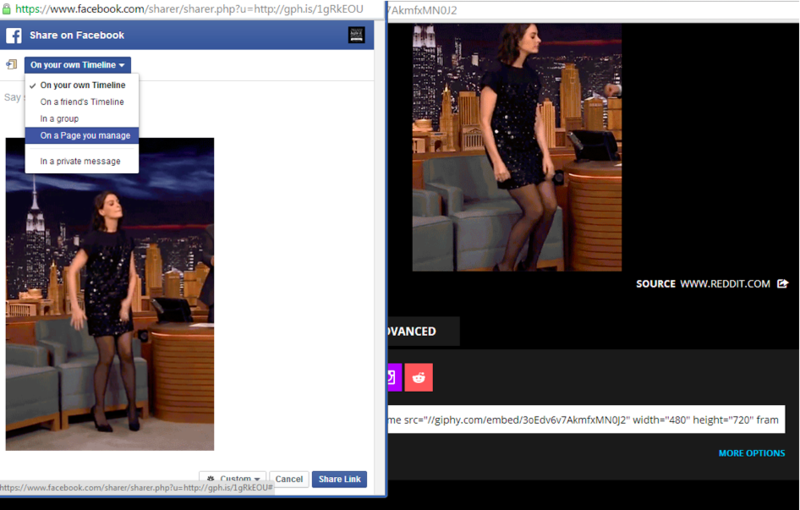 ​GIFs are a fun and easy way to grab your reader’s attention. What’s more they bring to life an otherwise static blog or social media post and drive higher engagement on social media (for the most part). Wistia ran an experiment on the influence of GIFs on twitter and saw over 25 times the number of media views and 3-5 times the number of likes on tweets that include GIFs​. 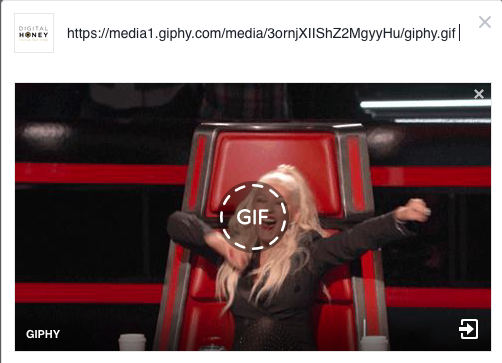 And it’s not just Twitter – Facebook gets more than 5 million GIFs daily, since it started supporting GIFs in the news feed. So how should you use GIFs to boost your brand? More and more brands in the public sector are using GIFs to either tell a story, start a conversation or share information in an entertaining way. Your GIFs should accomplish two things: It should make customers feel something, and it should make them act. Enrich your content – include GIFs on social media to break up heavy text and capture your reader’s attention. Add humour – make your posts entertaining with GIFs – there are tons of GIFs out there, so the hard work of making a funny GIF has already been done. Also adding a GIF can make your content more relatable to your reader. Boost engagement – all social media newsfeed algorithms have one thing in common: they favour content that people engage with. Using a GIF in the right context to the right audience will definitely help – not hinder – your social media engagement. However, too much of a good thing can be bad, and the same goes with GIFs – after all, not all posts need a GIF. Ensure your GIF aligns with your brand – don’t use it just because it’s trending. Think about how you can use GIFs to educate your audience like using a GIF as a how-to guide on using an app, for example. Make sure it’s quality it terms of content (and fitting in with the right context) and resolution – if someone doesn’t understand it it’s counterproductive. There are three ways to post a GIF, however the caveat with each is that you cannot upload a GIF directly to your page – it needs to be hosted somewhere. 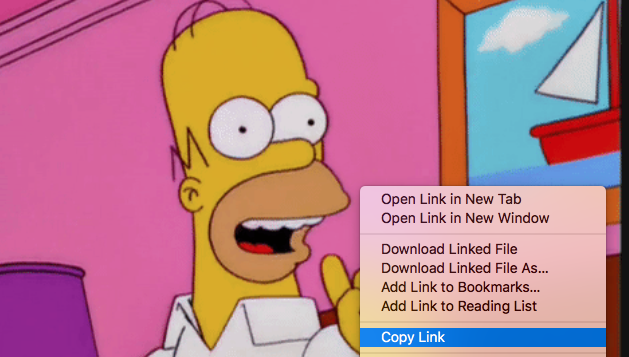 In Google Chrome select the option to ‘Copy Image URL’. If you’re using Firefox, instead look for and select ‘Copy Image Location’. Safari use ‘Copy Image’. And that’s it! Go and get your Gif on – feel free to share your GIF posts below in comments. What’s The Best Social Media Platform For Your Public Sector Organisation? Social media can be a powerful tool for the public sector when it comes to community engagement. It’s cost-effective, has a wide reach and is easily accessible for your audience. While the benefits are obvious, the options can be overwhelming. With so many social media channels available, there seems to be a different one in vogue each week. 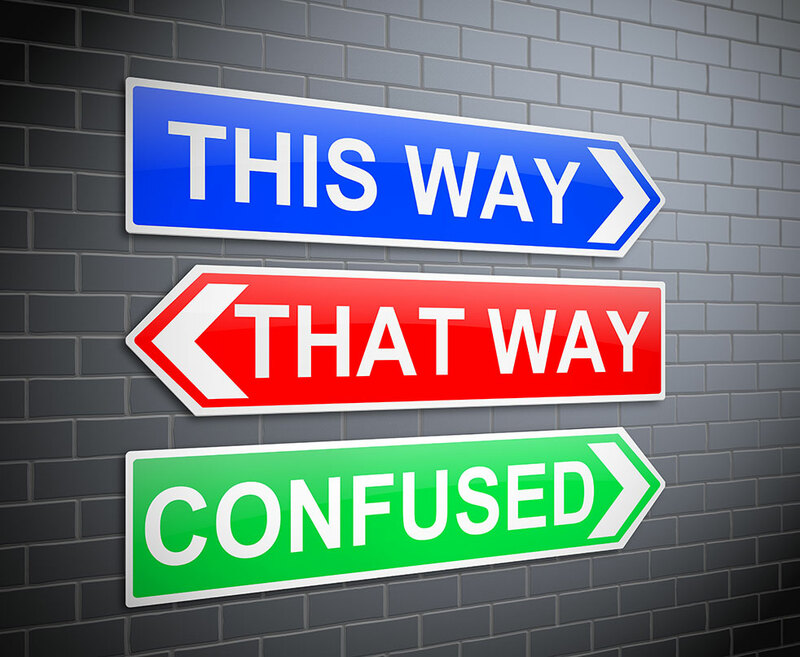 So how do you decide which is the right one for your organisation? It pays to do some research to find out what is most likely to work for your organisation. Keep in mind that while a comparable brand may have had massive success with one channel, that doesn’t necessarily mean yours will follow suit, so be prepared to be flexible in your approach. By choosing the wrong channel, you not only run the risk of not engaging with your audience – which is your intended outcome – you may negatively impact your brand, which is not the outcome you want. Find the right channels, set some goals, follow a content plan and use your budget and resources to get the best outcomes for you. What are your business goals? Do you want greater engagement with your audience, a two-way dialogue or even just positive brand enforcement? Work out what you’d like to achieve in the first 90 days of your social media journey, what your budget is and what resources you have available to get you there. How much time and resources can you afford to invest in the maintenance of your social media? Each platform has different content needs that need to be taken into account. For example, if you choose YouTube as your primary social media channel, you’ll need to film, edit and upload the content, which is far more time-consuming than simply updating a Facebook post. Who is going to look after the scheduling, responses and interactions both during business hours and after hours? There’s so much more to social media than simply creating a post and waiting for success and engagement to follow. You need to learn where your audience is and how to connect with them through the kind of content they’re already effectively engaging with. Doing two or three channels very well is far better than spreading across several channels and being mediocre. Quantity is important, but quality is even more so, so don’t scrimp. Which channels connect most with your audience? Have you tried a variety of platforms and found that some work better than others? Which worked for you and why? Let us know. We’d love to hear from you. As Christmas swiftly approaches, our thoughts shift to that downtime many organisations in the public sector take over the Christmas break. However, while we do need time away from work, we also need to take into account the impact of our absence on our engagement with the community. As a public-facing organisation, our audience can be unforgiving if we’re not around to answer queries or update them on crucial information. By taking some simple steps, we can maintain a dialogue with our audience with minimal effort. Plan in advance. Use your content calendar to plan your content in advance. You can schedule your posts and keep your content fairly low-key over the break. This isn’t the time to be launching a controversial new campaign! Stick to messages that are of public service, such as waste collection changes, a difference in opening hours and spread some Christmas and New Year cheer. Just ensure you check your scheduled posts before they send as sometimes occurrences can make your posts appear to be in bad taste, even if that wasn’t the intention. Have a skeleton staff. 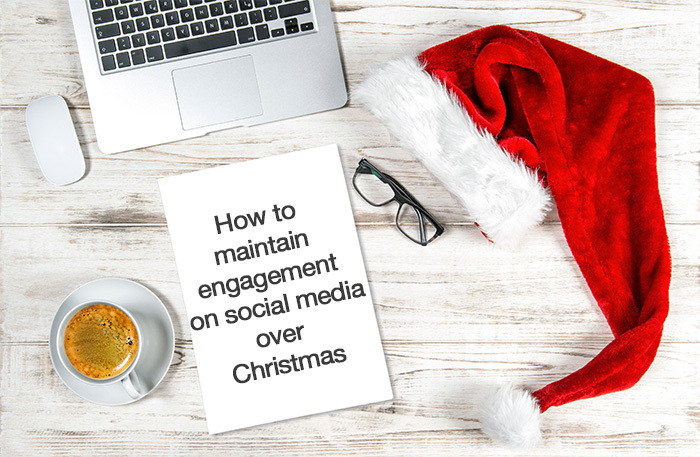 It’s a good idea to have either a skeleton staff over the Christmas break to monitor social media and keep up with news and events in case they impact on your scheduled posts. There may also be emergency messages you want to post, so having someone available is key. If your organisation shuts down completely over the break, consider having a roster for your usual staff members who take care of social media. Do a ‘year in review’. Christmas and the New Year is a great time to reflect on the ‘year that was’. You can highlight top performing posts from the year, share photos from successful events, post some ‘feel good’ messages and generally keep things light and positive. Reduce the number of posts. If you normally post twice a day, dropping your posts to once a day or every other day isn’t necessarily a bad thing over the break. It means you’ll have less work to schedule over the break and less to monitor and potentially respond to. You’ll still maintain engagement, just slightly lower-key for a week or two. Email your audience. 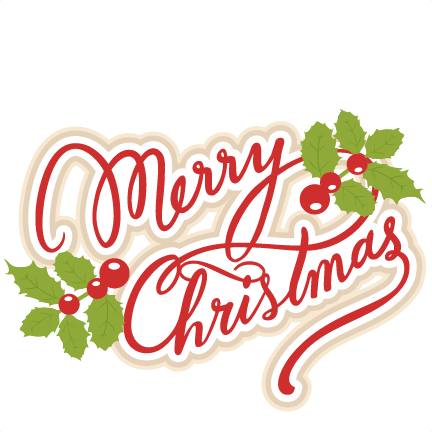 If you have a database that you regularly send correspondence to, it’s a good idea to send them a courtesy email letting them know of your organisation’s reduced hours over Christmas and that your social media responses may take a little longer than usual. You can also set-up an auto-responder through Facebook to let those who privately message your page know you’ll take a little longer to respond and thank them for their patience. While you can operate on a skeleton crew with a limited content schedule, still try to add value to your audience by providing relevant and useful information that shows you’ve thought about your audience and made a conscious effort to engage with them. How do you use social media over the holidays? We’d love to hear how you manage your social media over holiday periods. Have you traditionally stopped all posts? How do you monitor it when your organisation closes down? Let us know! Social media is becoming increasingly well-used across the public sector for everything from public notices to community announcements to event updates and reminders. When used well, social media can be one of the most efficient and effective marketing tools for your organisation. While one department is often responsible for the development and implementation of a social media strategy within an organisation, to gain a better outcome, a more holistic approach should be taken across the board. The responsibility usually falls with the marketing and communications department to develop, ‘own’ and almost certainly implement the strategy, but involving teams from across the organisation will help achieve the best outcomes. Most teams will be affected in some way by the strategy, so their input is essential. After all – they know the ins and outs of their department and are best-placed to advise on what needs to be conveyed, rather than leaving it up to assumption. One solution to make the process more holistic is to form a cross-functional team or hold a workshop with representatives from each department that may be involved in social media or who will feel the impact. It’s important to get all colleagues on the same page when it comes to implementing the strategy so they’re already advocates. One key to developing a successful strategy is to find champions who are interested in experimenting with social media and include them in the process from the beginning. There’s no ‘one-size-fits-all’ approach to a social media strategy. What may suit one organisation may not suit another. Your service output and brand status may dictate where you need to place your efforts with social media. While one local government may be dedicated to attracting tourism and promoting events via visual mediums, another may need social media purely from a functional perspective – i.e. to inform residents of ‘business as usual’ occurrences, such as waste collections and Council meetings. What may work for your neighbours may not work for you and vice versa. This should all be assessed as part of your research when producing your social media strategy. Look at your current social media data to discover who your ‘followers’ are and which channels have the most interaction. Stick to two or three channels and do them well. It’s better to concentrate on your output from a couple of sources versus spreading yourself and your resources too thin trying to maintain multiple social media accounts. Remember, you don’t just post content – you have to interact with your followers and develop relationships. This can become overwhelming if you have too many to keep track of. Your social media strategy should complement your existing communication channels, not replace them. As a service provider, your website is still an essential vehicle to convey information to the public, along with other traditional methods of communication, but you need to go where your audience is, and these days that’s on social media. Keep all your channels of communication up to date and relevant and use social media as a way to drive people to find more information. Used effectively, social media’s reach is above and beyond other forms of communications such as your website or an ad in the local paper and it allows a running dialogue, but it needs to be backed up with a solid foundation of good, up-to-date information. Keeping social media up-to-date and posting relevant information can be labour-intensive and time consuming, particularly if you want to pump out a few posts a day. Using a social media scheduling tool such as Hootsuite helps automate your content and means you can schedule your posts in batches. This not only saves time and keeps things in order, it also means you can get other teams in the organisation involved by showing them the schedule of posts before they go live and sending out data feedback to teams to indicate what’s working and what’s not. Remember that your social media strategy is not static – it is a living, breathing document that’s meant to create an intended outcome, which will evolve over time. Once you’ve developed the strategy, don’t file it away. Your social media strategy should be a guide that grows to accommodate your changing needs. Use it, shape it and let it develop into something that’s of great value to you and your organisation. How have you implemented a social media strategy into your organisation? 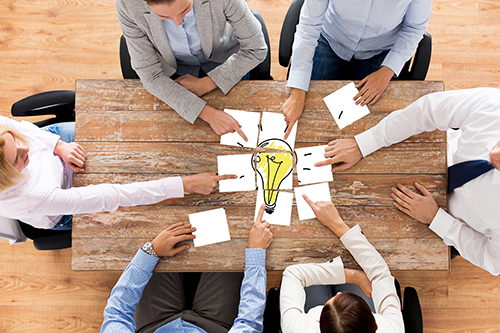 Are you currently working on a strategy or do you have some tips of your own you can share? Let us know. We’d love to hear from you.